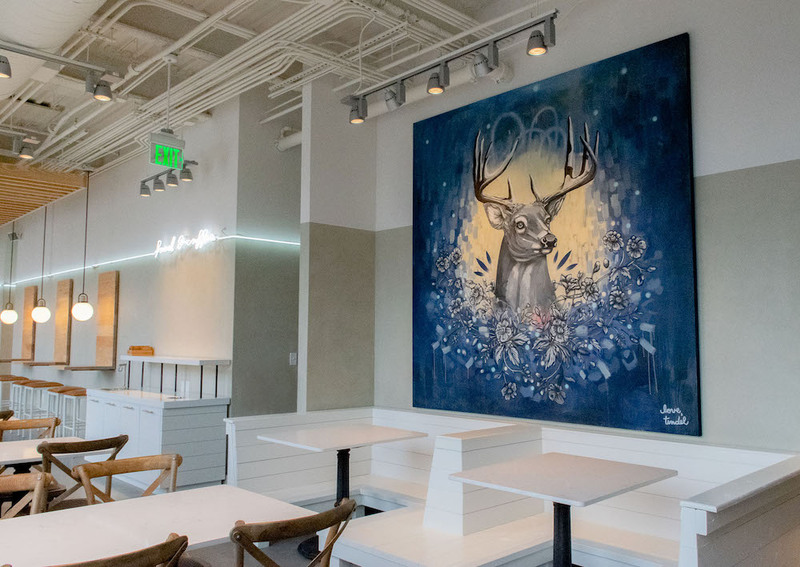 Local artist John Tindel created this wall painting of a buck to symbolize owner Johnny Liu’s childhood in Buckhead. Johnny Liu, owner of Café at Pharr, is opening a coffee, breakfast, and lunch spot called Cultivate on the Westside. 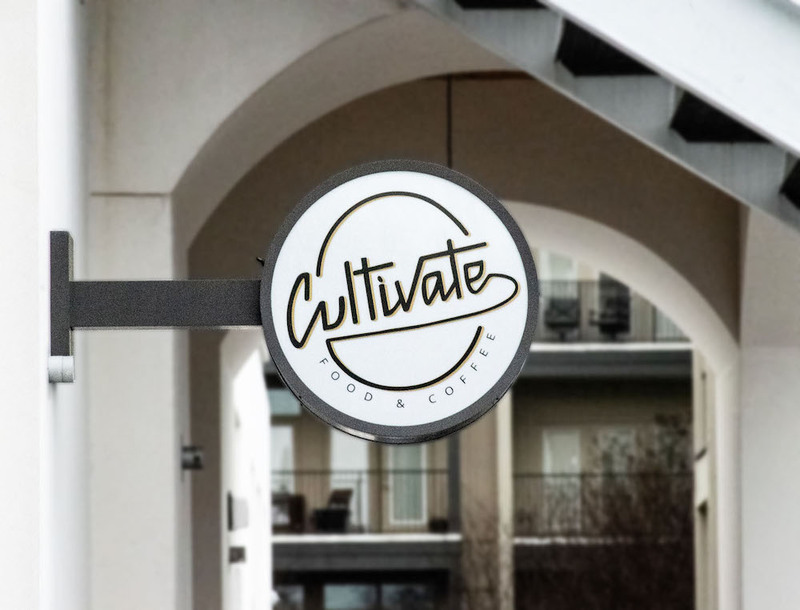 Located on Howell Mill Road near Collier, Cultivate serves Southern cuisine “with a lot of flair.” The coffee bar is now open, and the full-service restaurant will launch March 2. “The closest coffee shop is Starbucks. 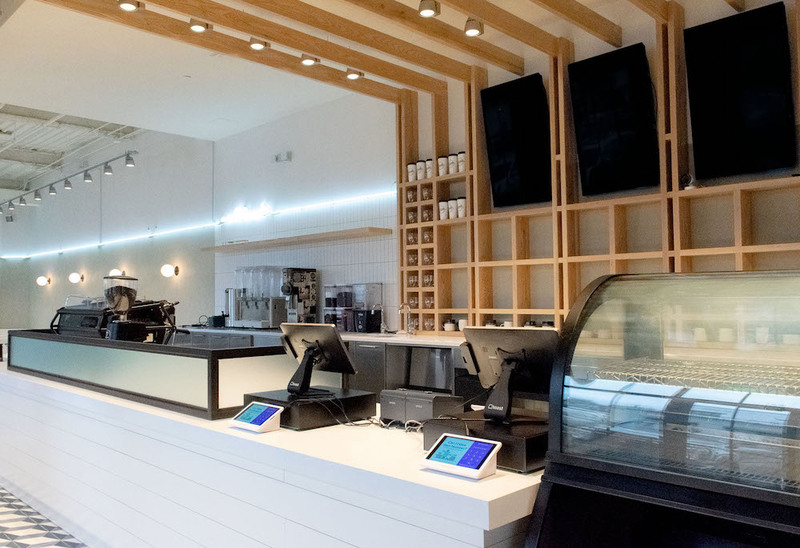 We thought we could do something special, and I didn’t want to do just coffee,” Liu says. But that doesn’t mean the coffee isn’t a focus. His team is roasting its own. The cold brew comes from Guatamalean beans, espresso from the Dominican Republic, and drip coffee from India, Colombia, and Costa Rica. The baristas are trained in latte art, he says, and both the restaurant and coffee bar will use only local dairy. 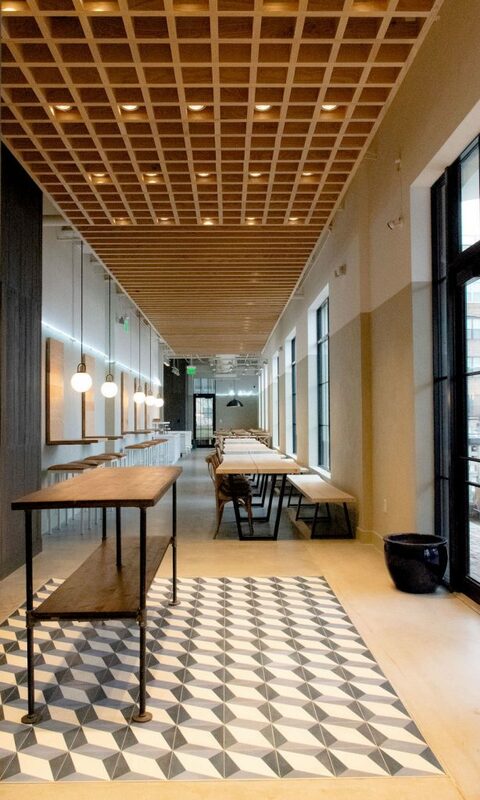 Some breakfast items—like biscuit and (cage-free) egg sandwiches—will be served all day, while others—like rumchata French toast and shrimp and grits—will be available for weekend brunch only. Expect buttermilk pancakes, an Impossible burger, and Southern beignets made with biscuit dough. Even the grits can be made vegan. The lunch menu is primarily salads. The Brussels sprouts come with fried goat cheese balls and molasses and soy sauce dressing. The maple pecan salad has spring mix, baby kale, candied pecans, pickled watermelon rinds, and pickled peaches from Pickled Pink in Norcross. A liquor license is in the works, so brunch cocktails like mimosas and Bloody Mary’s, plus wine and bottled beer, will be available soon. 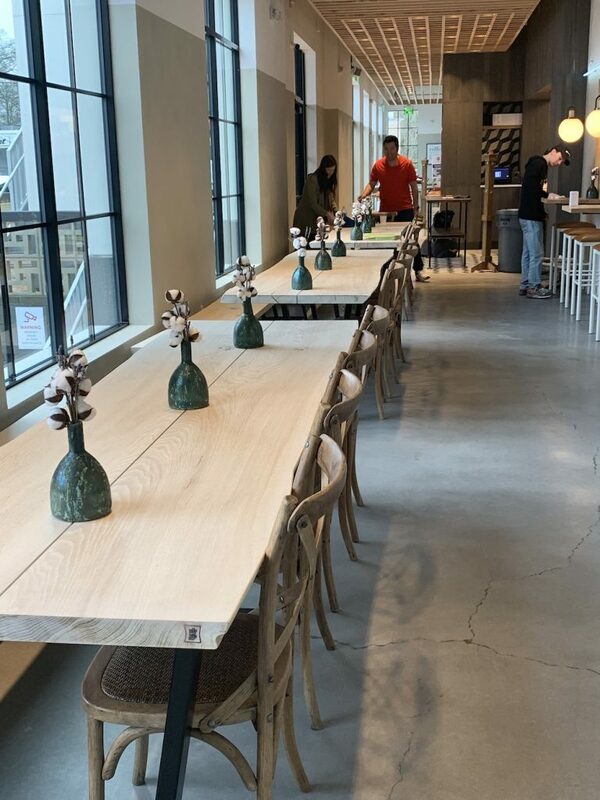 Liu says the space feels “like The Great Gatsby meets a museum.” It’s long and narrow with concrete floors and tiles, and tables custom-made from tree trunks. Local artist John Tindel created a painting of a buck for the wall, symbolizing Liu’s childhood in Buckhead.